Agarwal Safe Packers And Movers - Travel / Travel Agents / Transportation Services of packing and unpacking service, loading unloading services & residentile relocation service in Chennai, Tamil Nadu. It is the process of hustle and bustle and creates chaotic and panic situations. But when it comes, people have to do it anyhow and anyway. Always people want to get rid of such difficult situation. Our residential relocation services or local household shifting services include packing of your valuable goods, loading & unloading of goods, transportation of goods and unpacking & rearranging of goods. To give you comprehensive solution on your relocation, we at Agarvval movers & packers provide a range of moving services. We are capable to all forms of relocation in very convenient and hassle free way. We are involved in this field and serving people on their different kinds of relocation needs for long times. Our previous clients are testimony to our quality residential relocation services. We have expertise in commercial relocation. 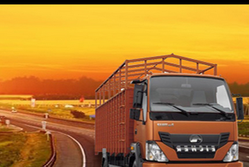 We assure you for safe and secure transportation of your valuable goods and belongings in time. We have professionally trained workers and staffs. We have special program to make your corporate relocation hassle free and convenient. We transfer your consignments in time. We believe in punctuality, reliability, responsibility and quality. We provide door to door services and ensure punctual delivery of corporate goods and rearrangement of them. So for any kinds of corporate relocation or business relocation services we at Agarvval movers & packers are just for you; to assist you.